Thank you for considering Cornerstone Christian School for your child’s education. Before you begin the application process, please open and read this document: Is CCS right for you? ADMISSION PROCESS Application for enrollment is open to students of any race, color, national or ethnic origin. The admission process for new enrollments is: 1) complete the enrollment information online through our Gradelink system, 2) fill out the student/parent application and return it to the school for the administrator to review, and 3) administration will schedule an interview with parents/guardians and students. Upon acceptance, submission of the registration and book fees, birth certificate, social security card, and immunization record, and transcripts are required. Final acceptance is contingent upon the evaluation of transcripts from the previous school. Students may be tested to determine grade placement. Please read over the Parent/Student Handbook to acquaint yourself and your child with the school’s current philosophy, policies and regulations. For your information, please review the current Financial Information and other important information found under the “Information” tab of our site. 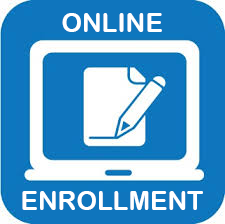 Please click here to begin the NEW ENROLLMENT online application process. If it is not possible for you to apply online, please call the school office at (256) 340-9516. NONDISCRIMINATORY POLICY Cornerstone Christian School shall admit students of any race, color, and national or ethnic origin to all the rights, privileges, programs, and activities generally accorded or made available to students at the school. It does not discriminate on the basis of race, color, national or ethnic origin in the administration of its educational and admissions policies or athletic and other school administered programs.